Victorian-inspired influences are unmistakable on this fluttery dress. Victorian-inspired influences are unmistakable on this fluttery dress. 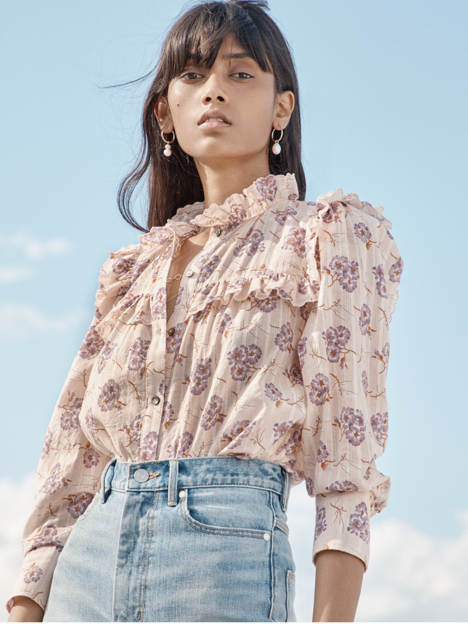 Intricate floral embroideries, scalloped lace and ruffles emphasize a feminine attitude while its high smocked neckline and voluminous sleeves nod to vintage silhouettes.